We are a website design company committed to making your website work for you. Your Website is intended to be a very important marketing tool for your company.We design websites to work on multiple platforms. All website designs will be responsive. In this technical age a clients first contact with your website will definitely be via a cell phone, tablet or laptop. A website is a very cost effective way for a company to showcase it’s services and products to potential clients. You will be able to reach thousands of potential new clients through a website presence. Reach potential clients nationally and internationally and bring in more sales for you. Keep your company services and product information up-to-date. Your website can operate as a representative and inform potential clients about your business or organisation. Your website can reach much more people than by handing out pamphlets and business cards. You can answer frequently asked questions through giving information on your website. Potential clients can find your company details on your website and contact you. Jabulani Design Studio’s goal is to develop a website for you, that best suit your needs and that of your clients and deliver positive business results which you can measure every month.  We at Jabulani Design Studio like to see your business grow… We believe that your website should work for you and earn your business money instead of being a white Elephant. CMS Websites are very popular. With a CMS Website you can update your Website within minutes. We would be happy to provide you with a website quotation for your project. You can contact us for a consultation or complete the form located here. Your full website proposal and quotation will be prepared and emailed to you within two working days. All of our quotations are valid for 14 days.